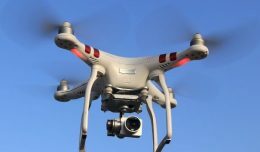 The NYCAviation team has been quite busy putting together some exciting new features for 2012, so over the past few weeks, we haven’t covered as many stories as we would have liked. Here is a rundown of some of the best ones we missed. 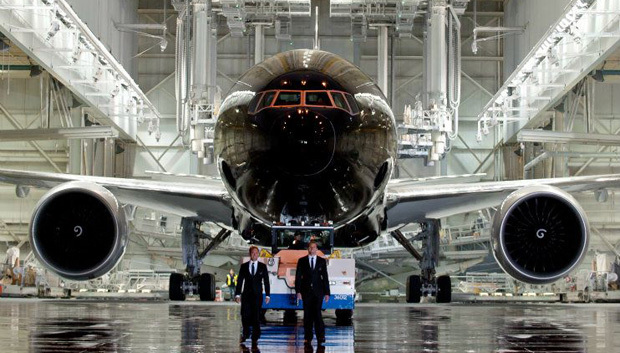 -Rumored since the sighting of a Boeing 777-300 at Paine Field with a solid black rudder several weeks ago, Air New Zealand confirmed the existence of the All Blacks B777-300ER which is, you guessed it, all black. The airplane commemorates the country’s national rugby team, the All Blacks. 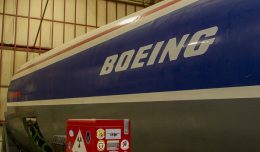 Sadly, there will be no official photo ops in Seattle before delivery for us to attend, but while the pictures are few and far between for now Boeing and ANZ were kind enough to release a few for our eyes to feast upon, along with this video of the painting process. Try not to get too excited. -In a bid to spread the holiday cheer, the Air New Zealand tells NYCA that “they are gifting its passengers flying out of LAX a series of thoughtful acts.” According to the press statement, “some of the in-person perks include a complimentary massage in Air New Zealand’s Koru lounge and opportunities to win prizes for checking-in on the airline’s USA-Facebook page or tweeting with a special hashtag. In addition, the general public has the opportunity to win roundtrip airfare for two to New Zealand hosted on the company’s USA Facebook page.” Additionally, Air New Zealand will offer daily giveaways of travel essentials on Twitter. You have to hand it to ANZ for keeping things interesting. We had the chance to fly with them briefly on their first 777-300ER delivery flight around this time last year; we sure hope we have the opportunity to fly with them again in the future. 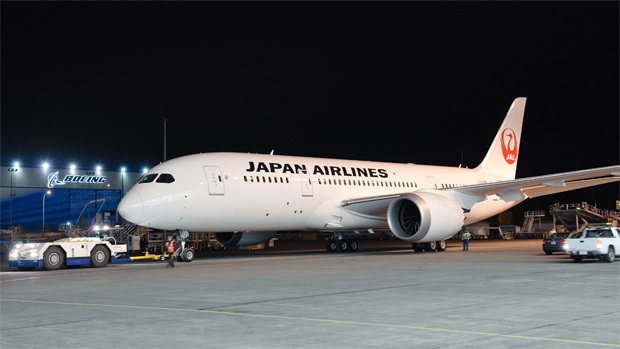 The new routes represent the second carrier, along with JAL, to introduce the 787 on US-based routes. 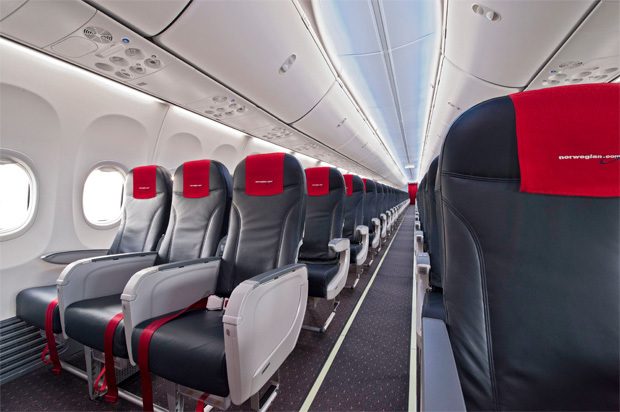 -The 200th Sky Interior 737 was delivered on December 19th to the Scandinavian airline Norwegian Air Shuttle ASA. “We couldn’t be more pleased about being part of this important milestone for the 737,” said Bjorn Kjos, chief executive officer of Norwegian Air Shuttle ASA. The first Sky Interior 737 was delivered just over one year ago, in November 2010. -Not to be outdone by Airbus’ milestone earlier in the week, Boeing delivered their 7,000th 737 to Dubai-based carrier flydubai on December 16th. Since taking to the sky for the first time in April 1967, the iconic single aisle airplane has progressed to become the best sold commercial airliner of all time with over 9,000 orders. It is worth noting that of the 7,000 737s built, over 5,400 of them are still in service with 358 airlines in 114 countries. The 737 alone represents over one quarter of the commercial airfleet aloft today. -The 747-8 Intercontinental got the go ahead from the fine folks at the FAA on December 14th, clearing the way for an expected delivery in early 2012 to launch customer Lufthansa. 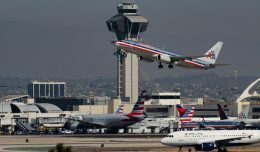 -The Atlanta-based giant also announced the beginning of daily service from Detroit to Sao Paulo and Atlanta to Brasilia, which previously had been 5x and 6x weekly respectively. -Etihad Airways, in tandem Boeing, announced an order for 10 Boeing 787-900 Dreamliners and Boeing 777 freighters on December 12th. Listed at a cool $2.1 billion by list price, the order would make UAE-based Ethiad the largest 787-900 operator on the planet, with 41 airplanes on order. 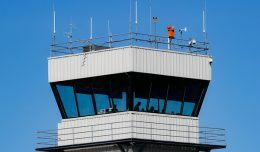 -The US Department of Transportation (DOT) announced that the Honolulu-based airline came in the top spot for on-time performance and fewest cancellations in October 2011. Overall Hawaiian logged a 94.7% on-time arrival rate, and a cancellation rate of 0.2%, or 9 out of 5,485. We know it is just one month, but still, that is impressive. -December 14th saw the roll-out of JALs first Boeing 787 expected to go into service, and the first airplane to see their latest livery. The airline has said the aircraft will fly their first 787 route, with non-stop service between Tokyo and Boston. 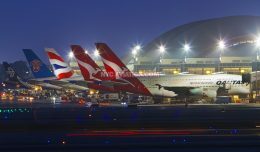 -The Chicago-based carrier announced new daily service from its Washington Dulles hub to Qatar, via Dubai, beginning May 1, 2012 on the Boeing 77-200 in mid-December. “This new service will improve travel options for our customers at both ends of the route,” said Andrew Buchanan, United’s director of international planning. “The Doha flights are timed to provide convenient connections to and from destinations across North America.” Hold onto your lids though, the flight is still subject to government approval. -Tempe AZ-based US Airways unveiled a new in-flight magazine early this month, “sporting a fresh new look and presenting readers with stories about the airline, its employees and the people who fly it”, according to a company press release. Highlights of the revamped magazine will include sections each month called “Did You Know” and “Making it Happen,” which explain some of the inner workings of the airline. According to the release, readers will have a chance to win a $500 cash card by sharing their comments on the new magazine. We look forward to reading it the next time we’re on board.